It’s really simple, whenever you feel a flow in your writings while reading as a reader at that point you could stop editing. That’s great! All the best. I’m asking the same question. 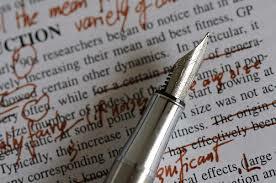 I’ve done countless edits and still I keep going – when will it end? Hehe! I’m afraid I have the same problem! I have never managed to call a manuscript done because I can’t get to a point where I’m satisfied. So I’m no help really. Just a sympathiser. I am definitely not an author but I have written some manuscripts over the years, WANTING to be an author. Hahaha. I have to say that rereading them was a most excruciating experience! What dreadful writing! On the other hand, I have edited a variety of materials and I think if you are pleased after a couple of edits, I would stop there. They are probably great. Yes! I also find myself in that situation, whenever I reread them, I find myself saying “What was I thinking!” 🙂 but I guess I’ll have to find that point where I stop. Thanks for the advice! General rule of thumb: Three major edits. Anything more becomes counterproductive.